GEARS was founded more than 75 years ago, before video, computers, satellites, internet, or cell phones. Hams have been on the front lines of this revolution all along, and we’re just getting started. The future of wireless technology has never been brighter. GEARS is not just all about learning and volunteering though, sometimes we just kick back and have a little fun with a variety of excursions, friendly contests, BBQs, Radio Direction-Finding “Foxhunts”, Field Day, and social gatherings. Membership in GEARS is open to anyone with an interest in Amateur radio, with or without a ham radio license. The Federal Communications Commission (FCC) has made it a lot easier for anyone to get a ham radio license, by removing the traditional requirement to learn Morse code. While many hams still enjoy “pounding brass”, since the FCC eliminated the Morse code requirement in 2007, the new, easier multiple-choice license test has encouraged a lot more people of all ages to get an Amateur Radio license. Learn How to Become a Ham—It’s Easier than You Think! Many people enjoy electronic gadgets, but licensed Amateur Radio operators take it to the next level. We can explore, experiment, and invent new types of radios and electronic devices, with the full legal support and encouragement of the FCC. In the event of a natural or man-made disaster, many Amateur Radio operators are prepared to provide emergency communications. 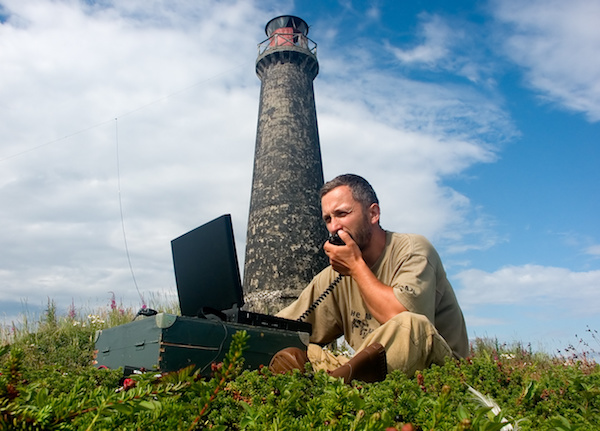 Amateur Radio can be potential life-saver when other means of communication are not available. Even when there is no disaster, there are still many areas of Butte county that have no cell-phone coverage, but where ham radio works fine. So, yes, I can hear you now, but sometimes only through ham radio. We are committed to serving our communities, and welcome new opportunities to do so. We are available to–and frequently–provide radio communication support for community activities such as: bike races, charity walks, and other local and regional public events.